If you own or rent a home, condo, loft, or townhouse in Staten Island and are looking for the best housekeepers and maids in Staten Island, look no further. Maidoncall provides trained, mature on time home cleaning services, and office cleaning services in Staten Island. Our cleaning service staff are ready to supply you with same day service when possible. 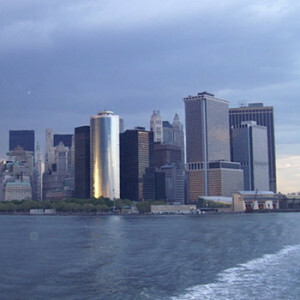 Maidoncall.com also provides the highest quality in office cleaning services Staten Island you will ever find. Our cleaners take there daily cleaning duties to heart. They enjoy there work, and are passionate about getting it done right daily. Call us today or book on line so we can get you started on a daily or weekly cleaning service program. Our staff of highly trained, uniformed maids and housekeeper in Staten Island NY are second to none. Whether you live in Brighton Heights, Hamilton Park or Manor Heights, our maid and house cleaning services in Staten Island will leave your home spotless. We clean kitchens, bathrooms, bedrooms, floors, living rooms, and dining rooms, including baseboards, shelves, tiles, ovens, and every spot in your home. We are one of the most throrough and well reviedwed cleaning services in Staten Island. For apartment cleaning for yourself or for a property management company in Staten Island, our rates and our house cleaning services are the best in the industry. Whether you need one maid or 5 maids, once a month or daily, you can count on our maid service company. quote over the phone and we offer some of the best maid pricing in Staten Island. Our home cleaning service staff are constantly trained and reviewed to ensure that we are the best cleaning service in Staten Island. For bed bug treatment, carpet shampooing, and carpet cleaning, our Staten Island maid service has all the right equipment and effective green cleaning products to leave your home clean and fresh with no toxic chemicals that may harm to your pets and children in the house.